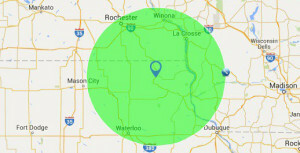 Stevenson Tree Care Offers scientifically based tree care solution for the entire Coulee Region. Soil in the built up urban environment has many factors that limit its ability to provide the nutrients, moisture and structure necessary for healthy trees to survive and thrive in the landscape. Compaction, lack of organic material, insufficient soil structure and other critical problems conspire to make a harsh environment for root systems. Nutrient deficiency in the soil is often the instigating factor allowing for disease and insect problems to occur in our trees. A customized root care application increases tree and shrub vigor and health, allowing the trees to strengthen their natural defenses and live a longer healthier life. In urban and suburban areas, structurally unsound, declining or damaged trees can present a significant risk to people and property. At the Stevenson Tree Care we have the knowledge and expertise to help you identify hazards and manage tree risk with a formal tree risk assessment. The Certified Arborists at Stevenson Tree Care have advanced knowledge of tree structure, mechanics and biology and will conduct a visual inspection that identifies specific conditions and defects that may indicate an above average risk to people and property. Pruning is the most important structural tree care practice performed by Stevenson Tree Care. We take great care to evaluate the needs of each tree individually, taking into account species characteristics such as growth rate and growth pattern, and then apply the proper pruning technique to achieve the desired objective. Properly pruned trees are more attractive and structurally stable, better able to withstand the high winds associated with our Midwest summer storms. All trees pruned by Stevenson Tree Care are performed by ISA Certified Arborists and based on the ANSI A300 Pruning Standards, recognized by professional arborists nationwide.